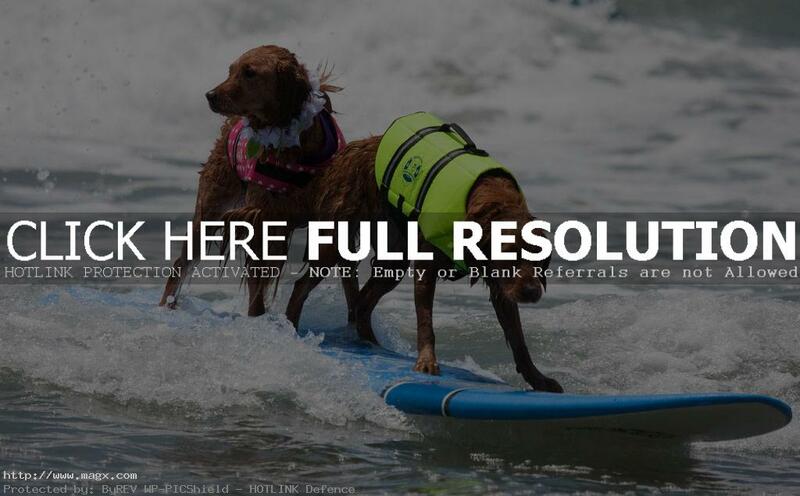 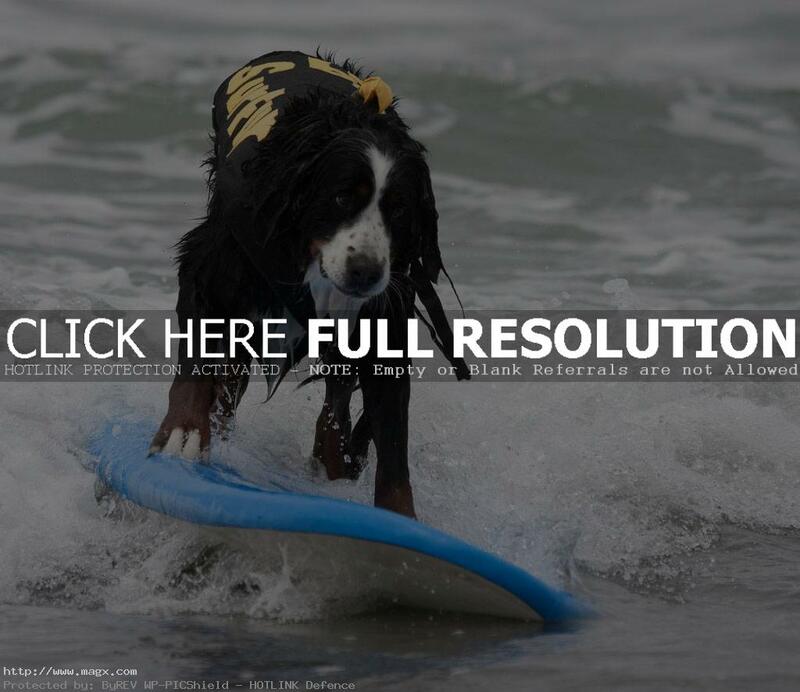 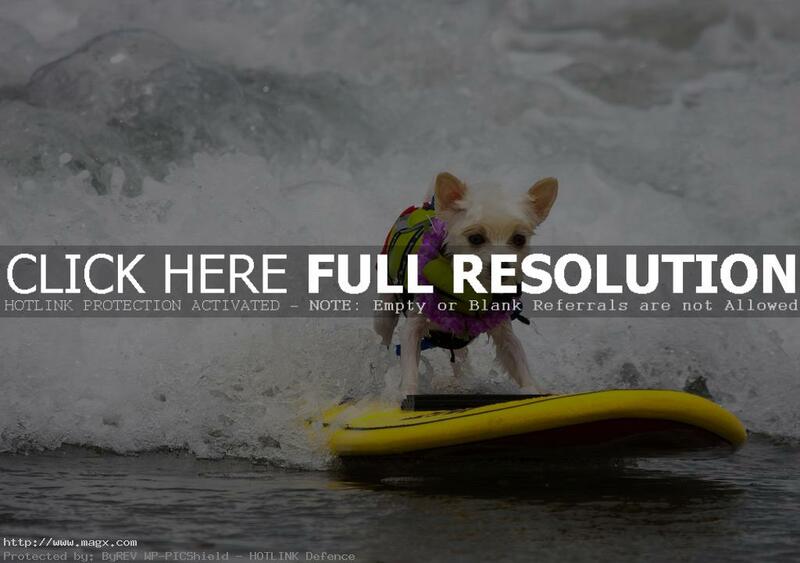 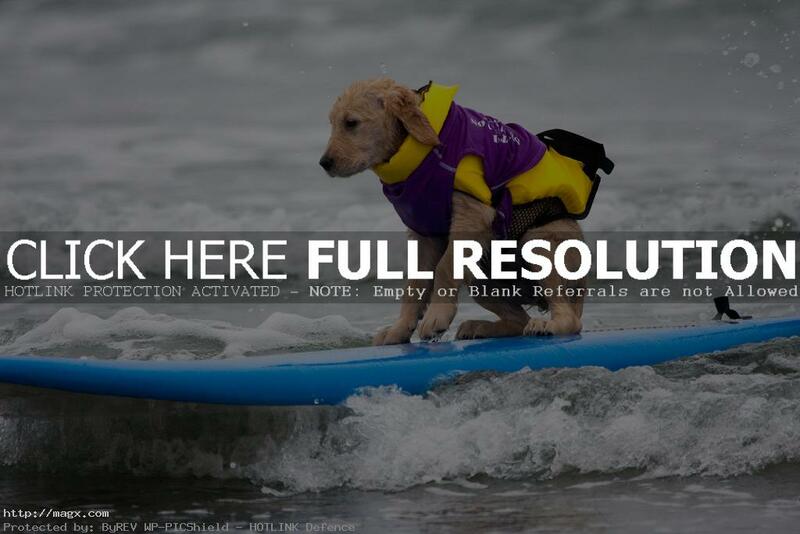 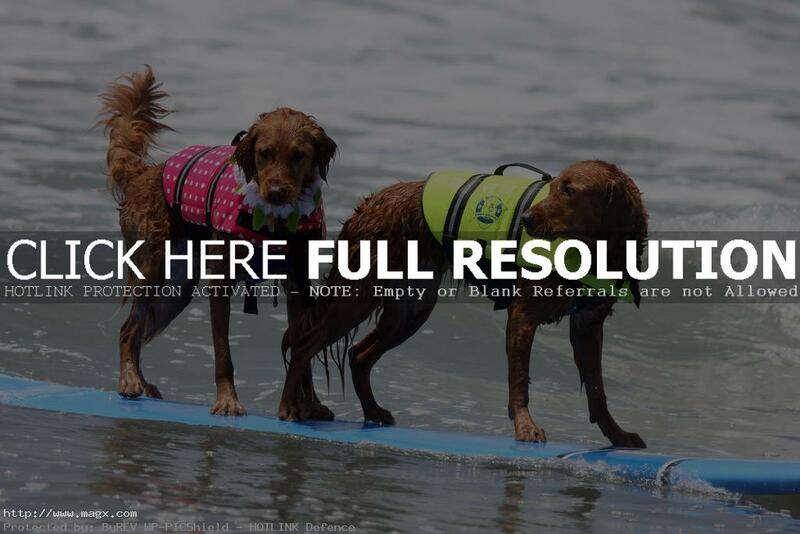 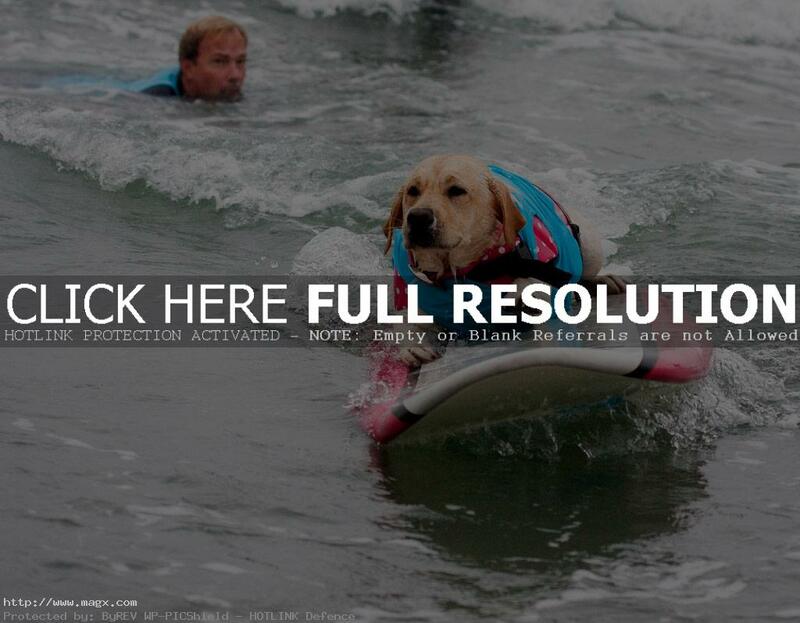 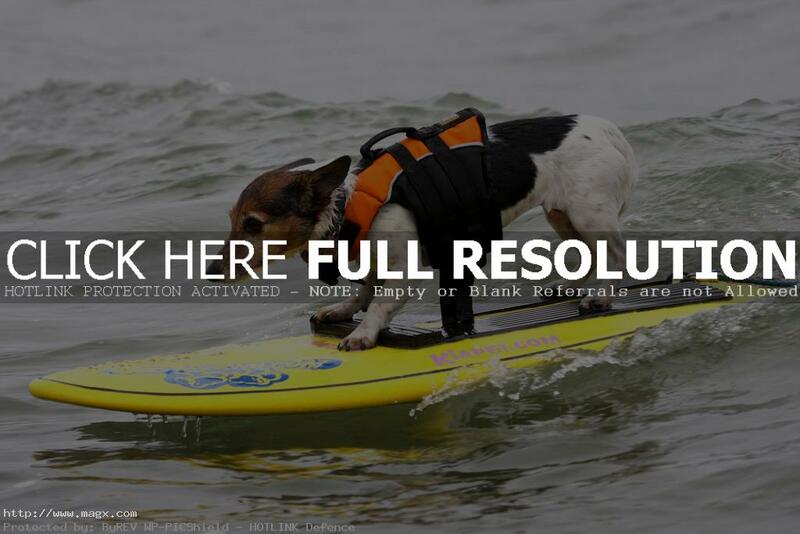 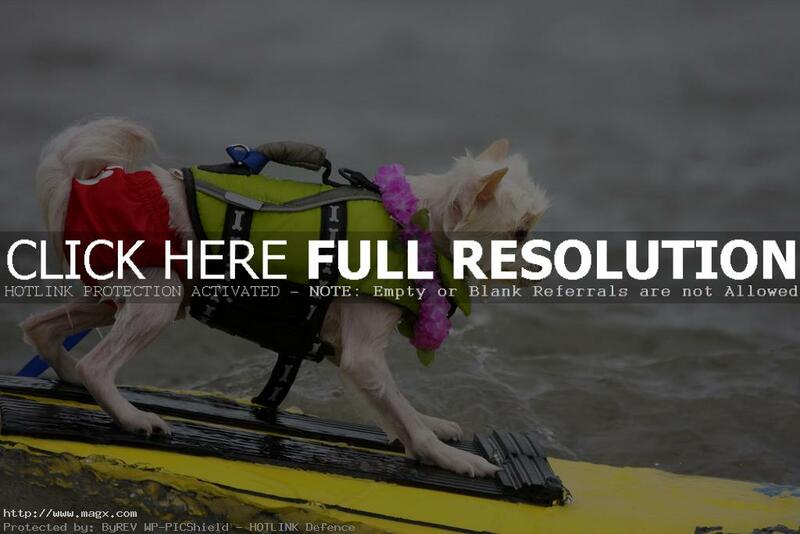 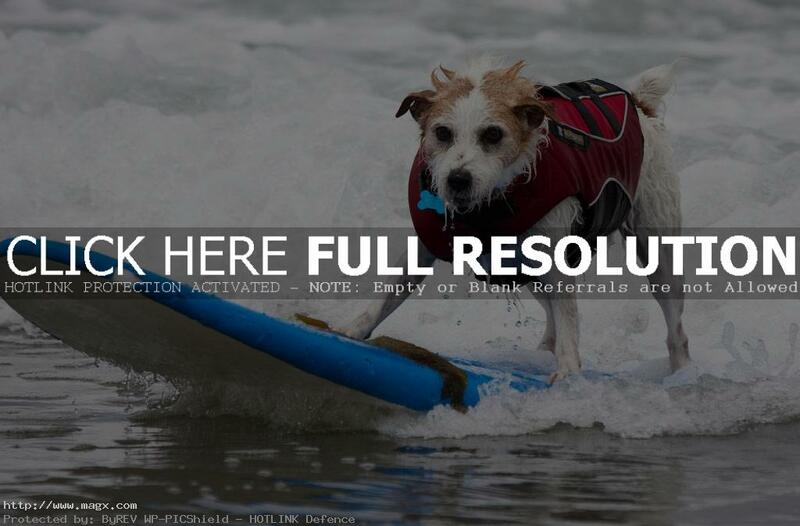 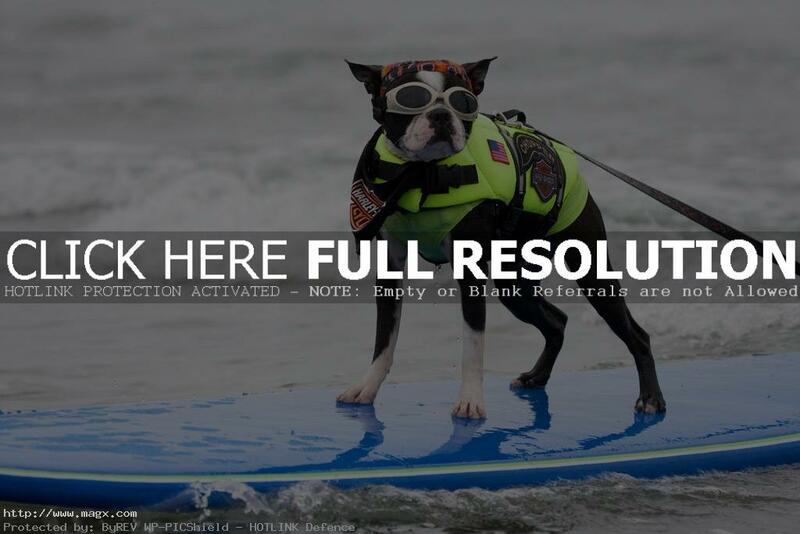 Teaching a dog to surf is something interesting. 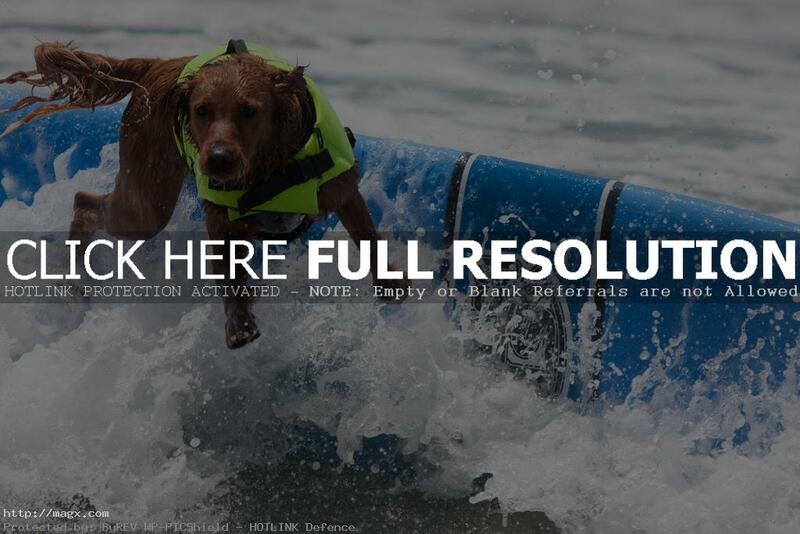 Talented dogs can win competition and give their owners popularity. 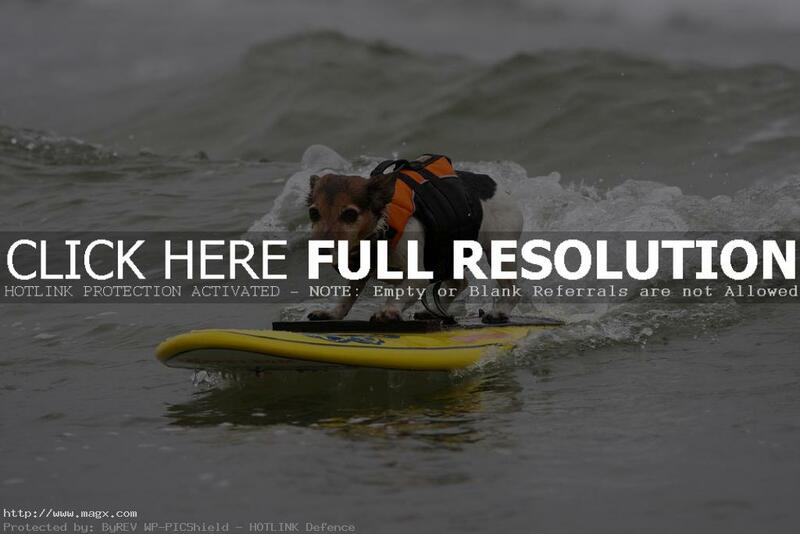 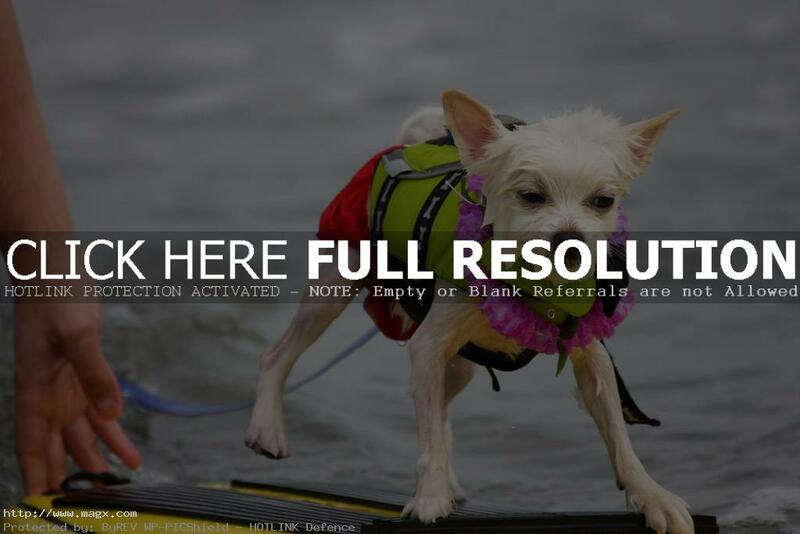 Best way to teach dog is allow him to stand on surf board on dry land. 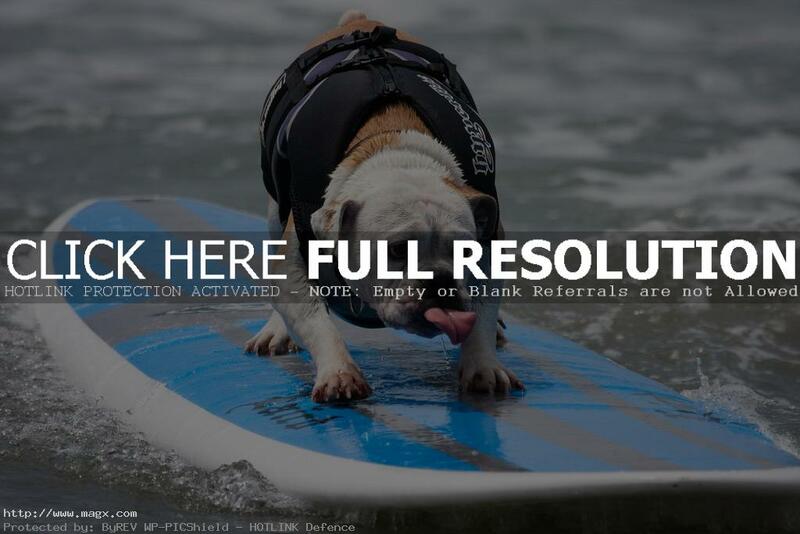 After that, you can move board to ocean, do not force dog if he is afraid.